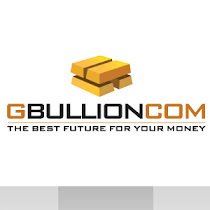 Official GBULLION Blog: Can the Money System Collapse? Can the Money System Collapse? The idea strikes as incredible, since MONEY is something that we use every day. However the money we are so dependent on is entirely dependent and reliant on government and its central bank. Just imagine that their performance will not meet the criteria required by money... As a result the confidence in that money will vanish into the thin air. It comes as no surprice that all the currencies are not performing so well at the moment. This mainly happens due to the fact that the balance sheet of most nations gets weaker. If these nations were individuals, they would have become bankrupts some time ago! If we look back, we'll see what history has to tell - not a single currency system has lasted throughout the centuries, but for the ones based on gold and silver, which has always remained as money assets. You might disagree, thinking that it is no longer the case nowadays. We'd say, it IS still the case. Despite all the rhetoric since 1971 gold remains in the bulk of the world's leading reserves for that rainy day when something else is needed other than the currency issued by the nation's central bank. And as we all see, gold is in the strong upward trend right now! The Federal Reserve’s quantitative easing announcement last Thursday has turned the majority of experts and investors bullish on the metal’s prospects for next week. Among them are the Kitco News weekly Gold Survey participants.